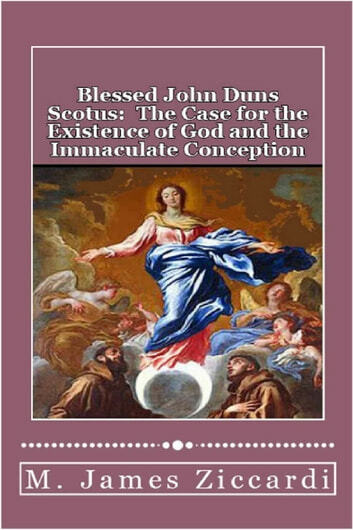 History has confirmed that Blessed John Duns Scotus was one of the most gifted and influential philosophers ever to come out of the Middle Ages. But while Scotus’ philosophy has been universally esteemed by scholars for centuries, little is known of his theological teachings outside of the Christian faith, and even there, little of it is known beyond the Church’s innermost ecclesiastic circles. This is truly unfortunate, because in order to fully appreciate Scotus’ spiritual and intellectual contributions, one must see each of these contributions in light of the other. Therefore, in an effort to help remedy this state of affairs, this book will examine the critical points where Scotus’ philosophy and his theology converge most significantly into one cohesive doctrine of thought which serves the purposes of both human understanding and Christian spirituality. As it will be shown throughout the book, this convergence of thought, as it were, reveals itself most strikingly in Scotus’ proof of the existence of God. 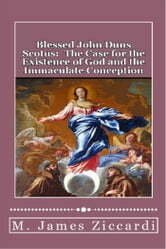 Following this, the book takes a look at much of what Scotus has to say concerning the immortality of the human soul, as well as his successful defense of the Immaculate Conception of the Blessed Virgin Mary - a defense which would eventually become an official dogma of faith within the Roman Catholic Church.